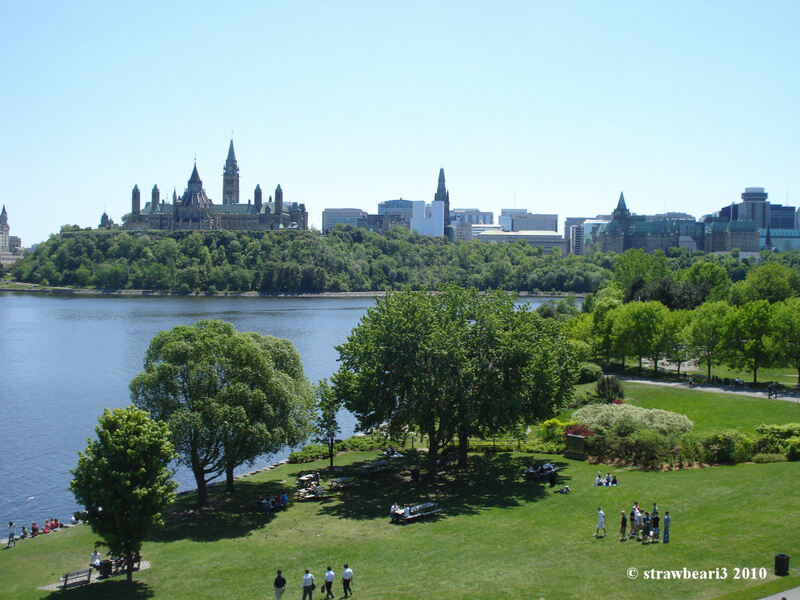 Ottawa, the capital of Canada is located in the state of Ontario. It is approximately 2 hours drive from Montréal. 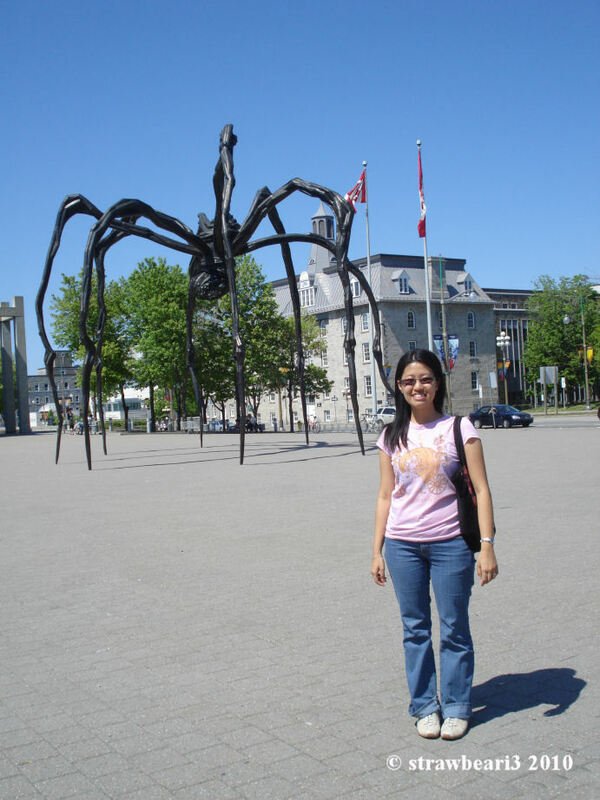 My visit to Canada wouldn’t be complete without a visit to the capital city. 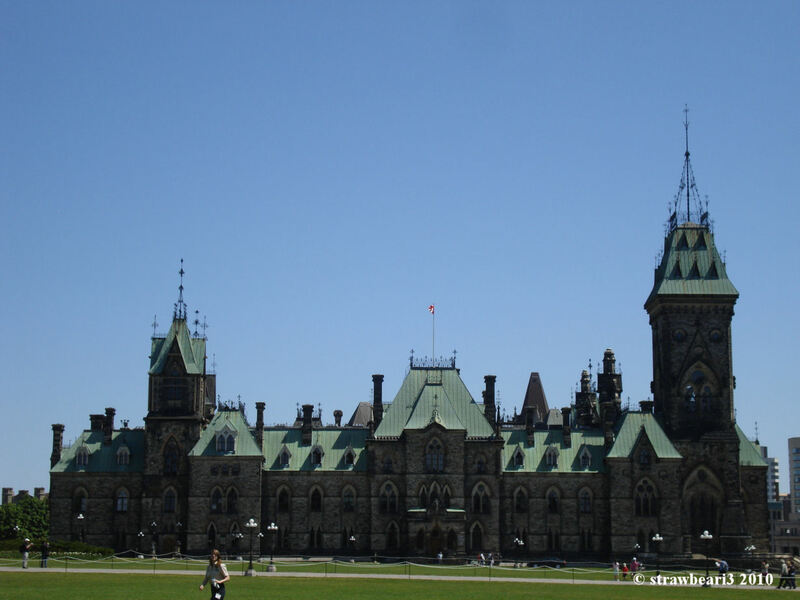 I signed up for a day tour with Grayline Canada which costs CAN$84. The tour guide was very insightful. He explained about the places we visited and Canada in general. 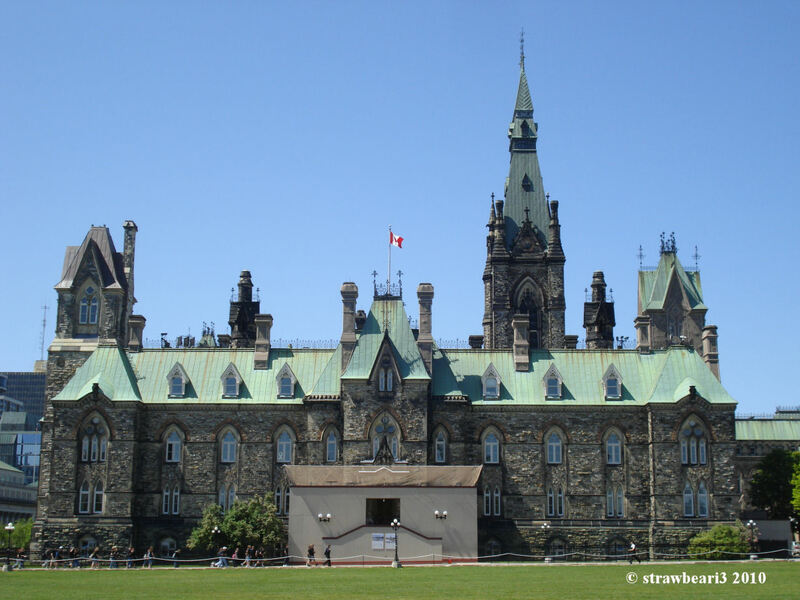 Canada is the world’s second largest country in size, after Russia. 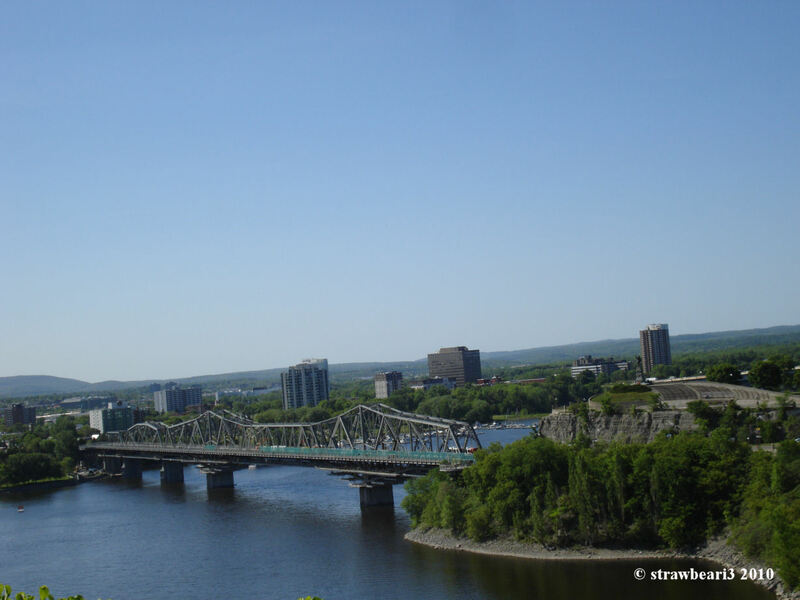 Two thirds of the population lives in Ontario and Québec. Our first stop was Notre-Dame Basilica. 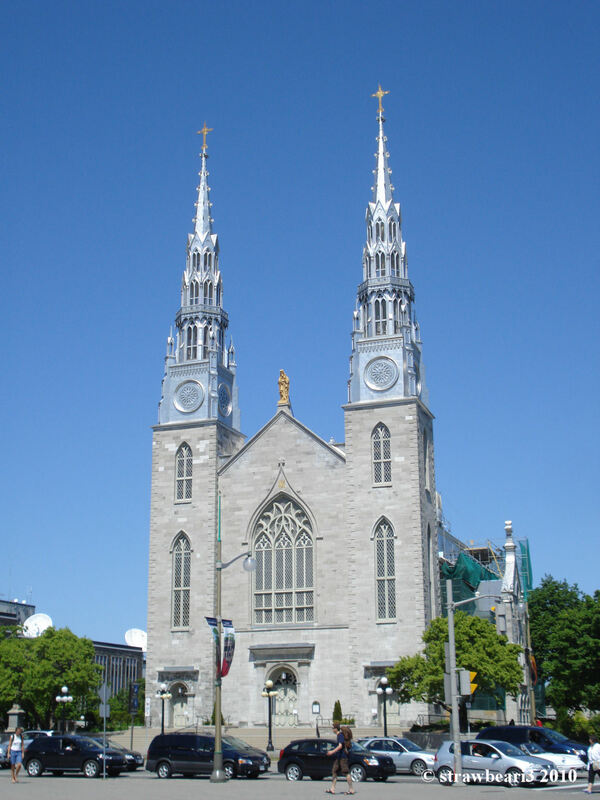 It is the oldest surviving church in Ottawa. 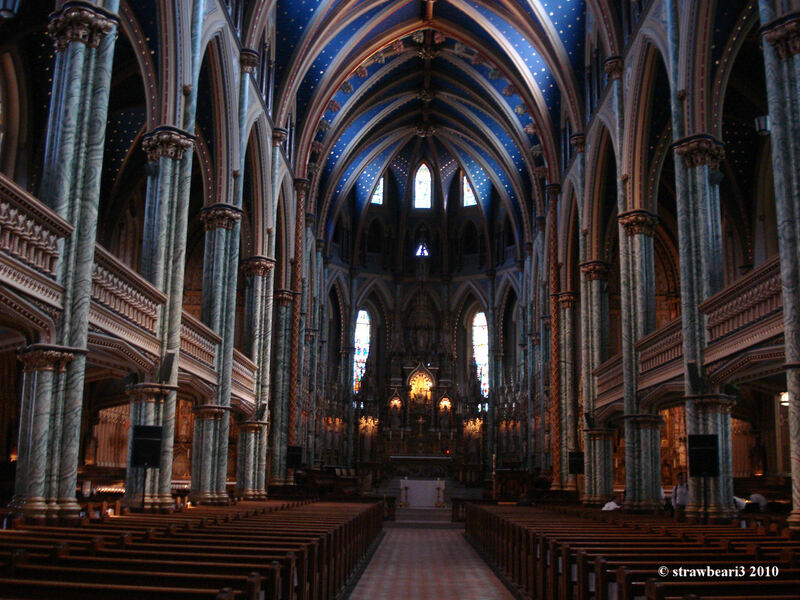 The structure and design is quite similar to the Notre-Dame Basilica of Montréal. 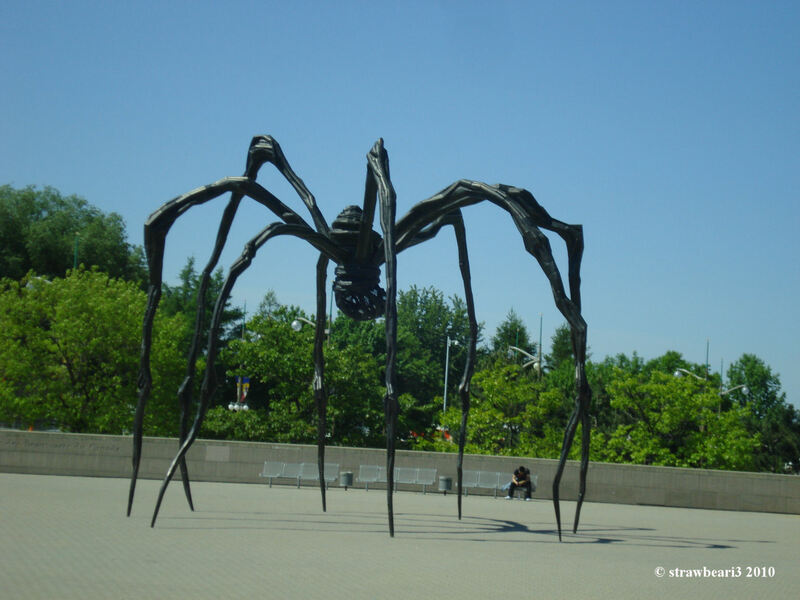 Across the road is the National Gallery of Canada, where the giant spider resides. 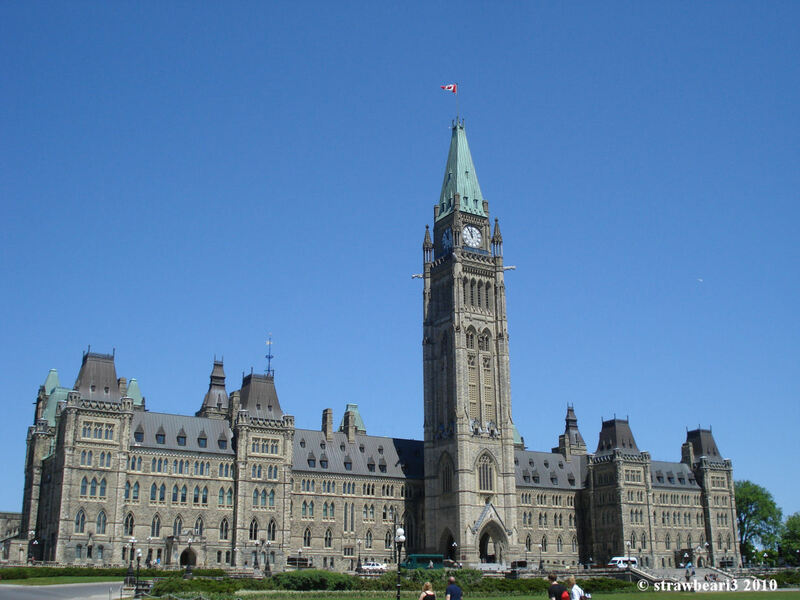 This is the most photograph sight in Ottawa. Well, I wouldn’t miss the opportunity to be part of the stats. 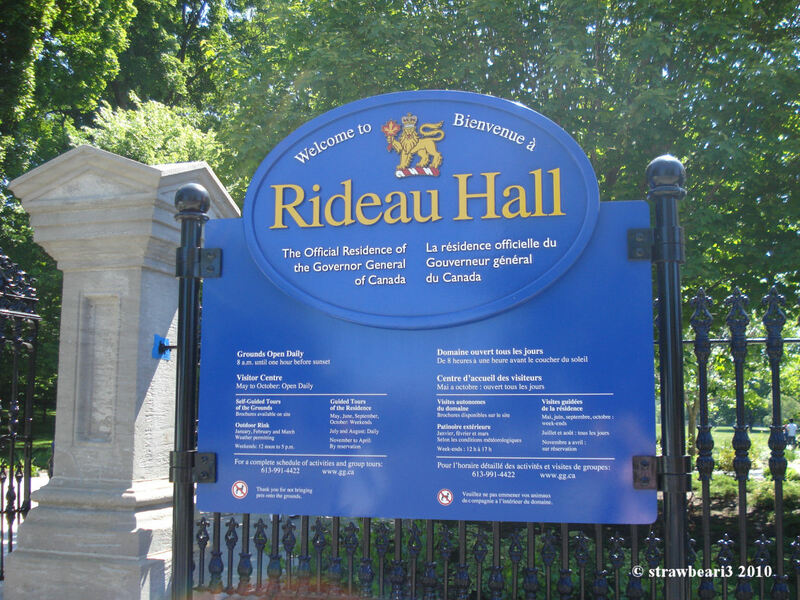 We then moved on to the Rideau Hall, the residence of the Governor General of Canada. We did not actually go anywhere near the Hall. Our tour guide reckons there will be a long queue to get in the place and it is a few hundred metres walk from the front yard. So, I only managed to get a photo of the sign. 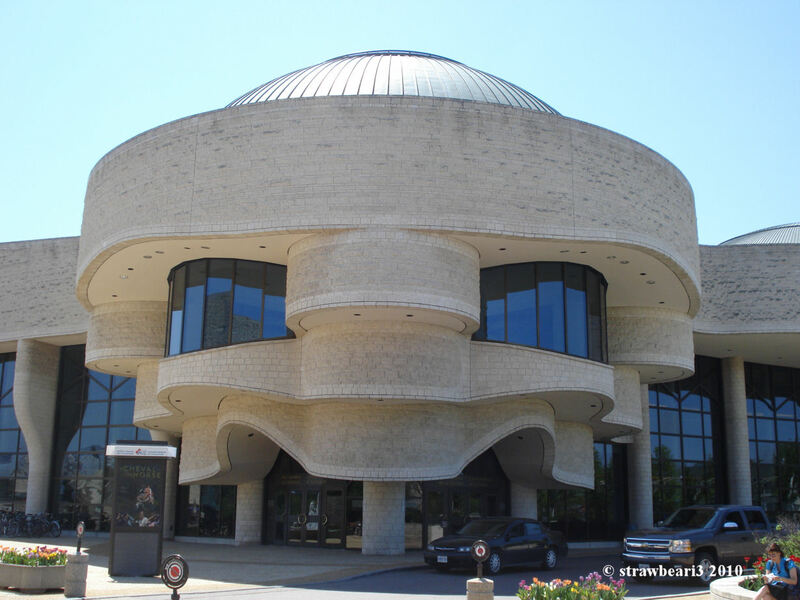 Across the river from Parliament Hill is the Museum of Civilization. The entrance of the museum is brilliantly designed to look like a face. I must admit that the architects did a great job on this. The Tulip Festival was supposed to last until the weekend of our tour. 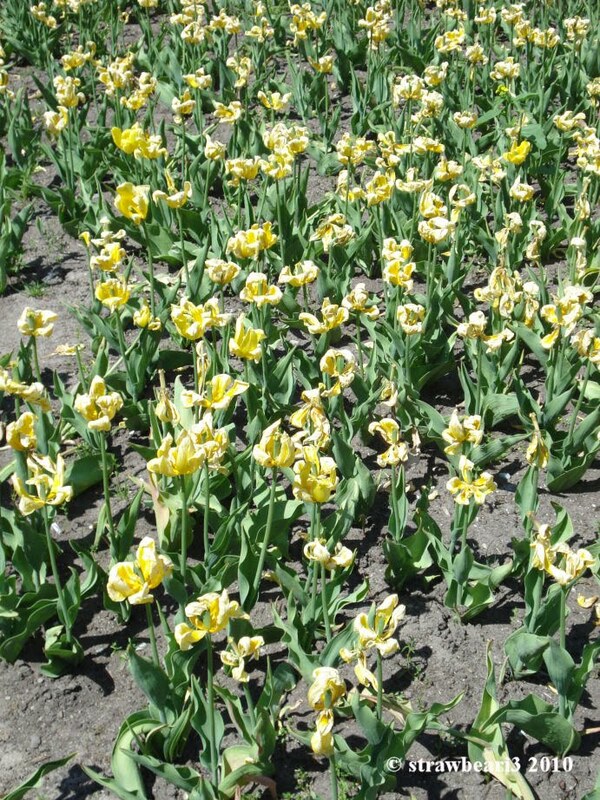 However, due to changes in weather condition, all the tulips have withered by the time of our visit. There wasn’t much to see except a bunch of withered tulips. Not a great sight. 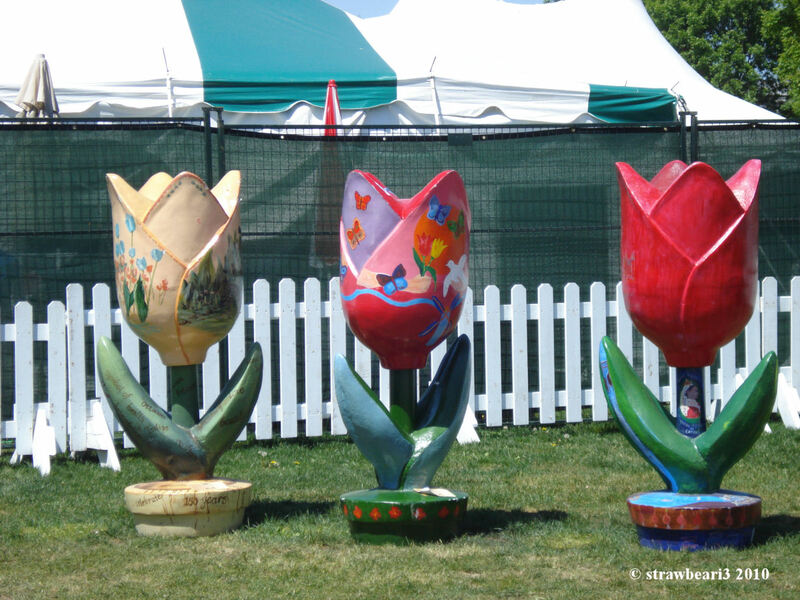 I think even the painted tulip statues looked better.